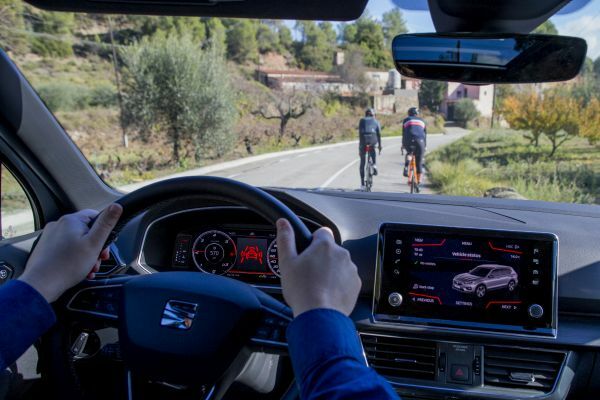 A SEAT engineer and two of his cycling enthusiast friends take to the road to show us how the new driving assistant on the SEAT Tarraco operates to protect riders, as they are involved in 8% of traffic accidents in Europe. 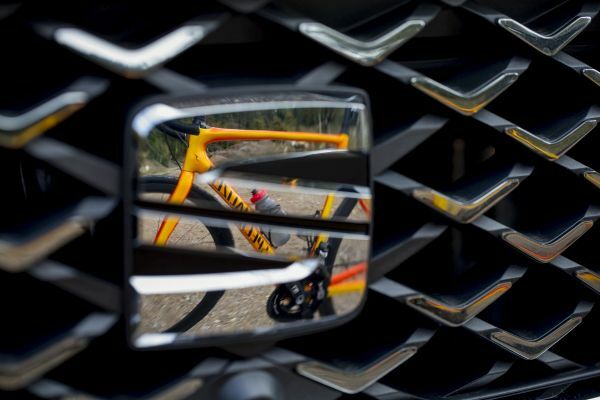 - A car with the ability to recognise a bicycle: At the wheel of the SEAT Tarraco, Esteban Alcántara, who is responsible for Active Safety at SEAT, encounters a couple of cyclists travelling in the same direction. When he gets closer to them, “the front mounted el radar detects their presence, and according to the trajectory and speed of both the car and the cyclists, triggers a number of actions to prevent a possible collision”, he says. - Every second counts: When the assistant on the SEAT Tarraco detects an imminent collision in 1.5 or 2 seconds, it activates an audible and visual warning. If the driver does not react, the car automatically begins an emergency braking manoeuvre between 0.8 and 1 second before the possible accident takes place. According to this engineer, in a real driving situation this means that “when driving down a road at 72 km/h, the car would begin to respond approximately 20 metres before a possible collision”, he adds. - 1,200 development tests: This is how many trials this assistant goes through, by recreating 450 different scenarios on a track. “Simulations are performed in several real driving conditions. Structures are used that reproduce the properties of different road users, such as pedestrians or cyclists, to test how the vehicle responds in each situation”, explains this engineer. - The driver is ultimately responsible: Alcántara acknowledges that driving assistants are of great help at the wheel: “Active Safety systems play an increasingly important role in protecting road users, and in some cases can prevent accidents or minimise their consequences.” However, this expert points out that the person driving the car is always ultimately responsible. “This kind of assistant is no substitute for the driver’s obligation to remain alert, respect traffic regulations, reduce speed and maintain the safety distance when passing a cyclist”, he states. At the same time, cyclists have to ride on the right, wear a bicycle helmet in built-up areas, and they are not allowed to ride in a group. - Keeping everyone safe: “At the SEAT R&D Centre we are sensitive about protecting drivers as well as all other road users”, says Esteban. 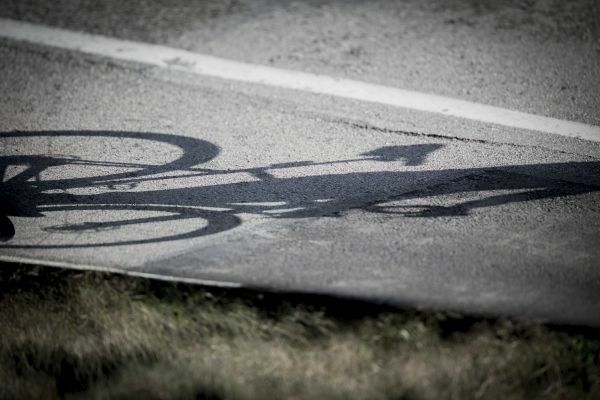 Furthermore, company designer and amateur cyclist Tony Gallardo also emphasises that “more and more people are taking a liking to this sport, so we must stay committed to promoting the correct conduct on the road and to keeping everyone safe”, he adds. The iconic bends of Monza traced in the ancient sand of the Sahara.